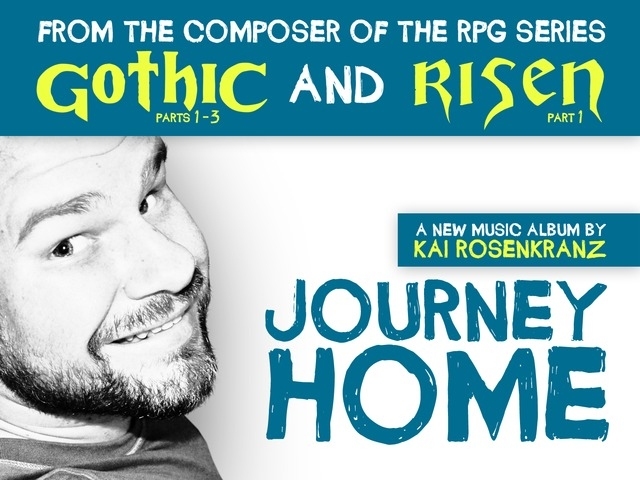 Kai, composer of Gothic 1, 2, 3 and Risen 1, is returning to his musical form and is kickstarting a new album. And here is why I care. Gothic 1 was the first audio job I ever applied for. About 15 years ago or so, LONG before my first commercial music job. I saw a preview of the game in a magazine, and wrote to the developer. I had never done that before. They talked to me, alluded to big things on the horizon. They were 5 people at that time! They sent me software, I wrote a few songs for them using the software, but in the end, I couldn’t handle the technical side. A deadline came, looked at me in disgust, and passed by. I failed. As we all know, Gothic 1 turned out to be a huge hit, start of a big franchise, and I had years of wonderful “hating myself” before me for not rising to the challenge. That feel-of-fail due to my first big chance was the very thing that drove me to try it over and over again, and now I am a fulltime game composer. WTF. The Day I met Kai. In 2008, I was at a very different point in my life. I was still not sure whether I would, should or could ever become a full-time game composer. Armed with the best game music I had written up to that point – which doesn’t mean a lot – trapped on 5 CDs I burned and assembled and stuffed into my jacket, I went to one of the first game events for me: the Game Dev Meetup North Rhine-Westphalia (Spieleentwicklertreff NRW). A small and nice one. Short event, followed by long unofficial partying in Düsseldorf afterwards. The contacts I made there were very precious to me, as I didn’t know a lot of people back then, and they still are. Some of my best friends in the industry I met at one of the Spieleentwicklertreffs I attended. When the event ended on that day, and some of us were on our way to fetch a drink somewhere, I was excited. Tingling. You see, no matter how important those contacts were and are to me, one could say there hardly were any “celebrities” at an event of that size, hardly anybody with international fame or impact. Except for Kai Rosenkranz. Composer of Gothic 1, 2 and 3. I think we had had some internet contact earlier, but we had met in person for the first time that evening. He had been friendly, respectful and had listened to me. The first REAL game composer I ever met. I had excused myself nervously to fetch one of my lousy CDs from my jacket pocket, and had found him again in a corridor away from the rest. We talked for at least 5 minutes, alone, which seemed luxurious to me back then and felt like 15 minutes. I gave him my grubby CD. He said, he believed in me, and a few more hope-inspiring things I can’t remember now, because this was really exciting to me. A big deal, and as I said, I was elated all evening afterwards. When it later became clear that Kai wouldn’t continue composing for Risen after Risen 1, Kai recommended me for the job. Several times. ❤ I just had a look at the old mail I had written to him back then, it’s basically a whole bunch of nothing I had to offer. Just words to hide my lack of experience. Still, he recommended me several times. After that, we met at basically every event I went to. It felt more like old friends meeting every time. One day, he started suggesting to visit me in my studio. At first, I misunderstood it as something you say but never do. BUT, lo and behold, one day earlier this year, he drove through half of Germany to visit me in my remote Bavarian studio, something only a handful of friends have done before, like, 3 or so! And stayed a night. Just to jam with me. That is insane. 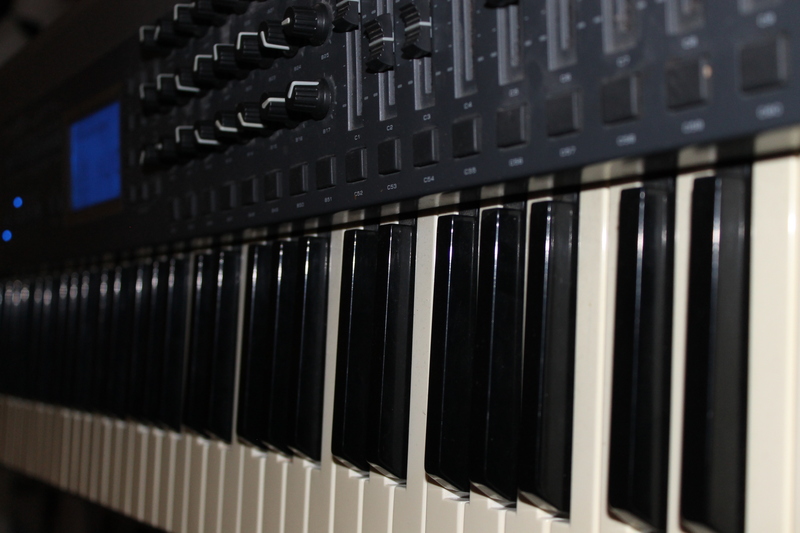 We have written some pieces of music together for two games, to be announced later. Among the first songs after a long break, what an honour! If you are interested in revisiting the music of Gothic 1, 2, 3 and Risen 1, discovering his new melodies and harmonies, and want to support a bear of a game composer with a huge fluffy heart, then please consider throwing a few bucks at him!